As lawsuits mount in Flint over the worsening water crisis, U.S. government officials are pulling out all the stops to provide funding and school program expansions for students whose mental development might have been slowed by dangerous levels of lead found in the city’s drinking supply. A recent NBC news report says the Health and Human Services Department will use $3.6 million worth of emergency funds to develop additional Head Start programs for preschoolers, open new classrooms, and expand the length of the school year. Portions of the money will also be used to provide transportation for affected students and families and pay for the distribution of bottled water. “Early education is one of the most important things we can do to help children overcome the effects of lead,” Dr. Nicole Lurie, who manages the program for HHS, told NBC. It’s estimated that 6,000 to 12,000 children have been affected by the water crisis in Flint. As the fallout continues in Michigan, new reports of potential lead water in other communities have city and school officials scrambling to manage and respond to parents’ concerns. 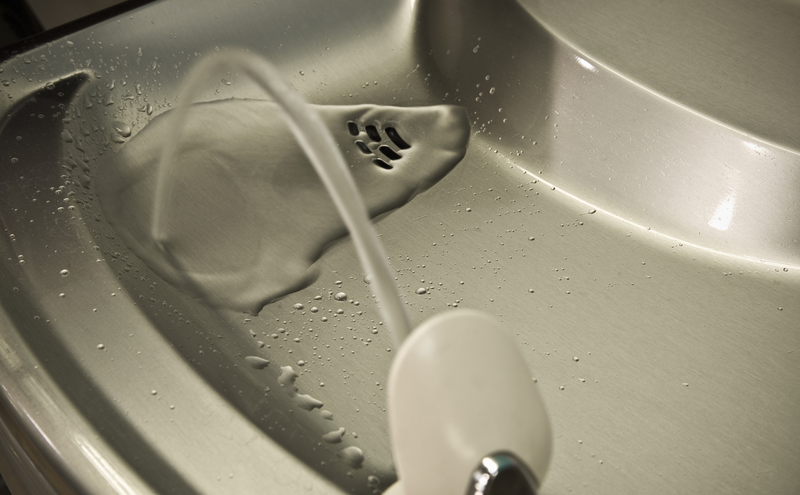 Last week, the Newark Public Schools in New Jersey became the latest major school system to report elevated lead levels in its drinking supply. While city health officials say the current levels aren’t harmful to students, water fountains were shut off throughout the district. (Update) Like Flint, a new New York Times report indicates that Newark officials had prior knowledge of potential contamination is the city’s drinking water perhaps as far back as 2014. The city’s reaction this week demonstrates the urgency with which government officials, schools and others must act to engage their communities as the lead water crisis spills over to other parts of the country. As school officials in Newark and elsewhere attempt to tamp down legitimate concerns, there are more than a few lessons to be learned from these examples, not the least of which is the importance of timely and clear communication. Want to stay out in front of the next crisis in your school community? Here’s three ways to lead the conversation. Flint residents were left in the dark about the lead risk in their community for more than a year. Intentional or not, the slow response cost more than a few prominent officials their jobs, and has led to calls for Michigan Gov. Rick Snyder’s resignation. It’s important to gather and understand the facts when dealing with a crisis of this or any magnitude. But your community also needs to understand the issue and the response. Don’t wait. Check in with your community early and often. The crisis in Flint began when the state made the controversial decision to switch the city’s water source from Detroit’s water system to water from the Flint River. Not long after the change, residents began to complain of contamination, discoloration, and strange odors in their drinking water. But, according to several accounts, these early complaints went largely ignored by state officials. Make sure you have a system and a process to listen and respond in a timely fashion to community feedback. Newark plans on conducting further tests to compare historic lead levels in the city’s water supply. Dialogue with the community needs to be constant and ongoing throughout the fact-finding process. Gather new information, provide updates, and use the data at your disposal to clearly explain your decisions. The same goes for understanding public perception of the issue. Consider conducting surveys before, during, and after a crisis to evaluate the quality and effectiveness of your response. Does your community have confidence in your ability to manage a crisis? It doesn’t hurt to ask. State and federal officials in Flint might finally be getting a handle on the response. But some question whether it’s too little too late. “Everything they have done at the state level has been way too late,” Rep. Dan Kildee (D-Mich.) told the New York Times. What process does your school district have to engage parents and other community members in times of crisis? Find out why an open, two-way conversation makes all the difference. Be the first to comment on "A lesson from the Flint water crisis"